Vaporum has gathered unprecedented steam in recent weeks, in terms of exposure at gaming events. 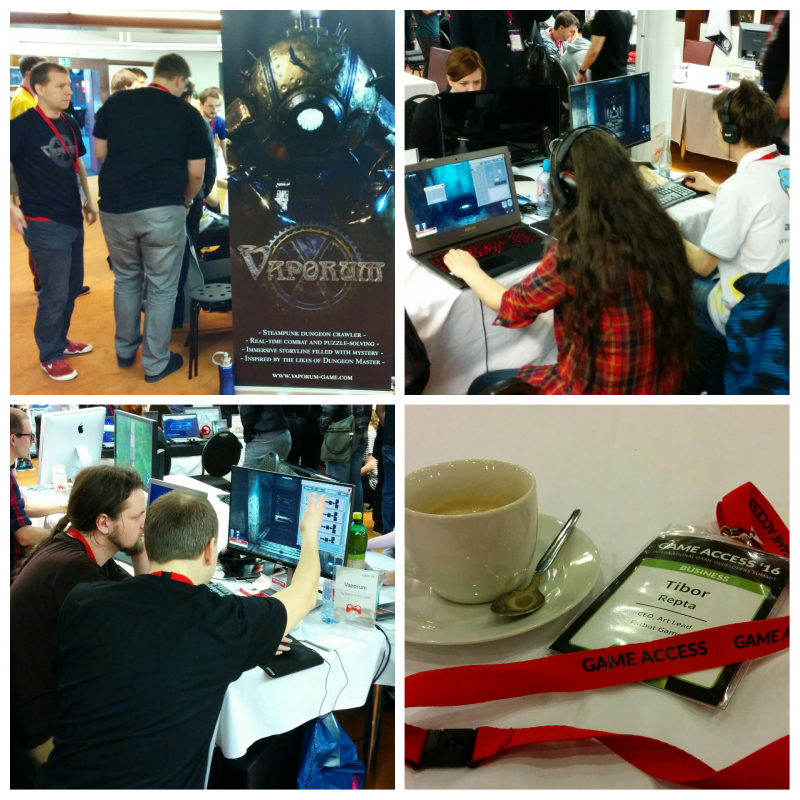 As we stated in a brief post, we were going to present our game at Game Access 2016 in the lovely city of Brno. That was one successful, strenuous, and inspiring indie event! We received overwhelmingly positive response from both journalists and the public, as well as loads of spot-on feedback on how the game plays, what it lacks, and what it excels at. 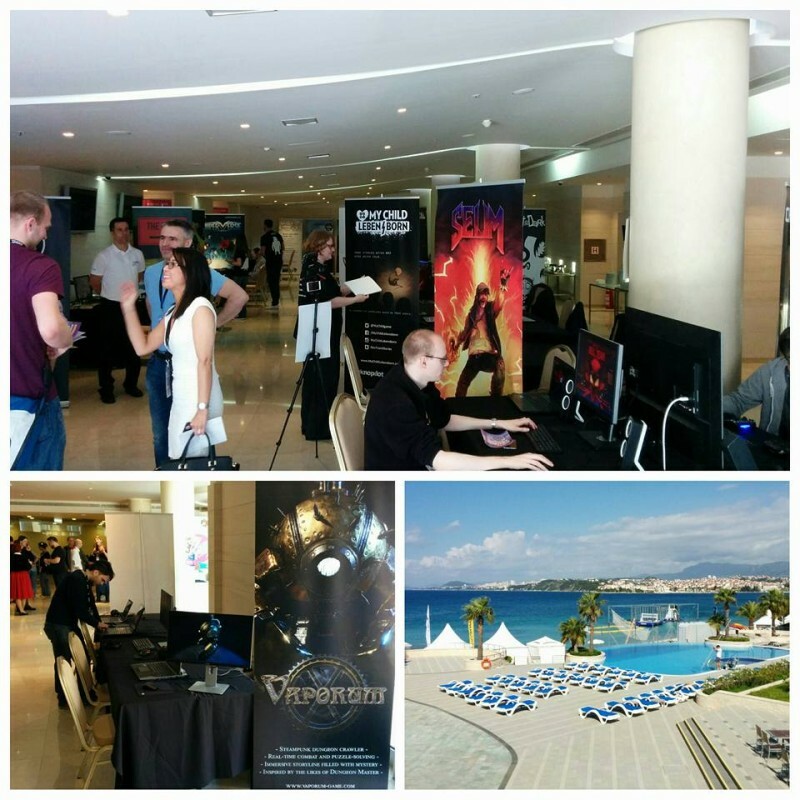 But before we could even process all the goodness, we decided to go to Croatia for another gig — Reboot Develop 2016. With names like John Romero, Cliff Bleszinski, and Brian Fargo to give speeches, we couldn’t resist this big indie event! Didn’t take long before people swarmed to our ‘booth’, bombarding us with countless questions while trying to beat the demo levels we’d prepared. 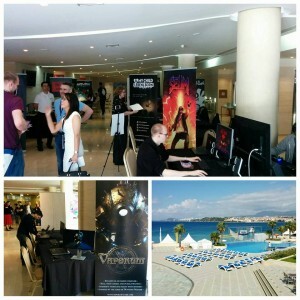 Atmosphere, graphics, and combat were the most praised features by people at both events. That makes us really happy, because that is exactly what we wanted to be the strengths of Vaporum from the beginning. We’ll share details about how we fared at each event, what we’ve learned to do, not to do, and the pros / cons of presenting at such events in later posts.